Menorca is an island that seduces all those who visit it, and it has a lot to offer: the beauty of its beaches, the peace it transmits and the richness of its gastronomy. 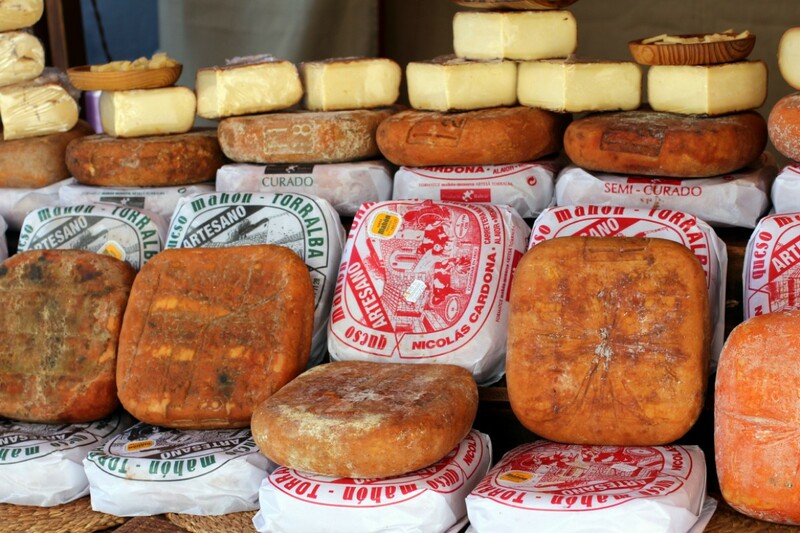 One of the most typical products is cheese, also known as “Mahón cheese”, made with cow’s milk and whose rounded cube shape characterizes it. This delicacy already has a Regulatory Council to preserve its Denomination of Origin and is one of the most exported products outside the island. The process has been invariable over time and responds to ancestral traditions. They have found utensils for their production that date from the year 2000 BC and there were Arab writings of the year 1000 that praised the quality of their cheeses, but it was not until the twelfth century when its production and importation was promoted, which gave it the origin of the name of Mahón due to the port of issue of the product. Mahón-Menorca artisan cheese: Made with fresh raw milk, its moulding is done by filling the curd in a cotton cloth called fogasser, which is why in the upper part we will find grooves that go towards the centre of it. Mahón-Menorca cheese: It is made with pasteurized milk, it follows the same procedure as the traditional one, but its mould is a cube that gives it its characteristic shape in the healing process. Within this classification, we can find cheeses with different healing systems, whether tender, cured or semi-cured. All of them are sold only in authorized establishments. Mahón is a city located east of the island of Menorca. It is the Spanish city located further east. This town has a natural harbour 6 km long that makes it the main attraction. It also has great places of interest such as the Fortress of La Mola, the Menor Museum or the Bastion of Sant Roc, not to mention its surroundings where we can find the famous Faro de Favaritx or the natural park of S’Albufera des Grau. If you are going to enjoy a relaxing stay, you have all kinds of luxury hotels in Menorca around you, either at the Hotel Insotel Punta Prima Resort & Spa ***** or at the Hotel Insotel Punta Prima Prestige Suites & Spa * ****, we recommend that you do not stop visiting Mahón and try the cheeses. Travel to Menorca, enjoy Insotel Hotel Group and don’t forget to try their cheeses, characteristic and with unmistakable flavour cheese.